Cost: Tuition $55. Member Tuition $45. Materials Fee $175. Take the step from "want-a-bee" to being a real beekeeper! Yes, this is the exciting day you get to play with live bees. Learn how to successfully introduce your bees into your hive box. We will actually be installing bees at the school, so you can see how it's done. You will learn how to find the queen, and how to handle frames of bees without getting them upset. You will need to bring your bee veil or jacket and gloves and be ready to get up close and personal with some of the most amazing insects ever. You will learn how to light your beehive smoker and keep it going and learn when the best time is to check your hive. 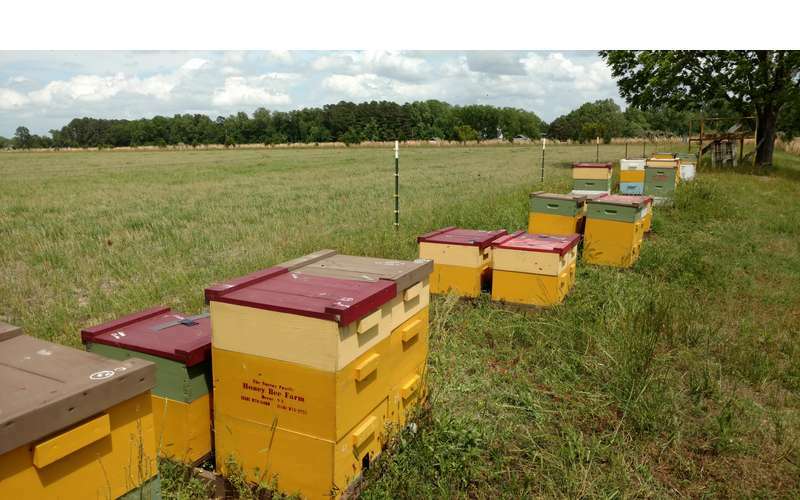 You will be receiving your own bees in a started 5 frame nuc box which will be ready for you to introduce into your own equipment at your own apiary. Start off with some of the best genetic lines of honeybees around which have been proven to do well in our area. Instructor Tim Norray from Black Sheep Honey company will be taking you through the steps to make sure you are ready to enjoy your new hive. He even gives you his home phone number in case you have any bee related questions down the road.